We appreciate your interest in Crenshaw In-Ground Pools and hope to earn your loyalty. Management and construction crews at Crenshaw will work with you to help meet your design needs, based on your lifestyle, site situation and a host of other variables specific to you. Perhaps you’d like a waterfall or fountain, special colored lighting effects or a love seat. You may choose to have a connecting small wading pool for the children or a sports pool for the active teenagers. Maybe a standard pool needs to be modified to fit your backyard, our design department will design a custom Crenshaw In-Ground Pool that will fit your needs. 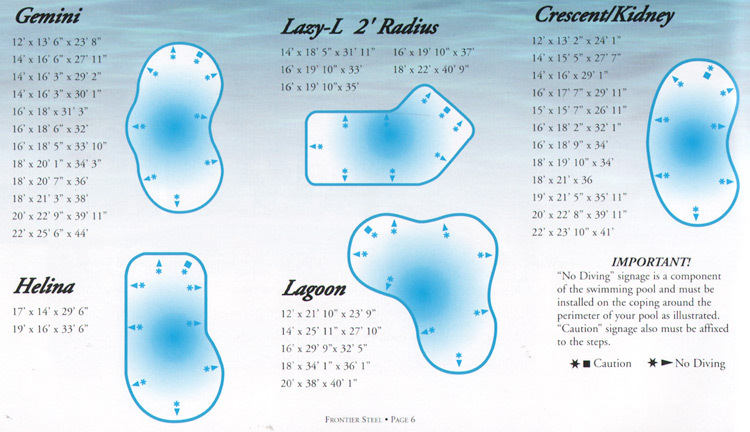 At Crenshaw In-Ground Pools, we are dedicated to helping you achieve your dream of a backyard haven. We are here to assist you in every step of the process. From salt and vinyl liners to heaters and lighting, it is our goal to make your pool experience the best it can be. Learn more about our products and what other customers have to say about Crenshaw In-Ground Pools. Crenshaw designed and manufactured their own swimming pools and components until 1992. Since 1992 all items we purchase for our pools are manufactured to our time tested specifications that we perfected in our unique manufacturing process over the years since 1958. All components have to meet these same high quality standards that Crenshaw set within the swimming pool industry to assure that the end product will give you and all our customers years of trouble-free enjoyement. Crenshaw ships do-it-yourself pool kits throughout the 48 contiguous states and usually shipping is free. All kits are custom designed to suit your personal needs. Once you purchase an inground kit from us we are available to support you throughout your installation. Our panels are 14 ga. copper bearing double dipped galvanized steel and have a lifetime warranty. Our newest safety cover system. The turn of a key slides the cover on or off the pool in less than a minute. Protects virtually any shape or size pool and can be used year round. The SECUR-A-MATIC® Automatic Safety Covers meet or exceed safety cover performance standards as set forth in ASTM F 1346-91. Crenshaw assembles an above ground pool package featuring the Artesian above ground pool structure, which is one of America's largest above ground pool manufacturers. With a combination of sophisticated, modern design, the use of top quality materials, and careful craftsmanship, the Artesian pool has gained our confidence as a swimming pool we can risk our reputation on.